[German]Some Windows 10 users are facing a strange issue. Realtek card readers are mounting SD cards cyclically. It seems to be a driver issue. I stumbled upon this issue in German forums. The users are facing similar issues: A Realtek USB 2.0 card reader doesn’t work as expected. The media is mounted successfully; but during browsing or copying files, the media is lost. The Windows 10 mounts the SD card again, but unmounts it a short time later again. This is annoying. I came across a similar description in February 2017 in German Microsoft Answers forum, The user claims the same issue with a Realtek USB 3.0 card reader. Browsing photos on a SD card has been interrupted, due to un-mounted media. The user reported, that this issue has been reproducible on several devices (ASUS F556 U, Dell Latitude 3570). He mentioned, that he was advised from Dell support to install a ‘Dell patch’ to cure this issue. 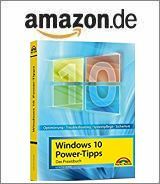 Reading the forum entry with this issue remembered me, that I wrote a German blog post Windows 10: SD-Karten werden ständig neu erkannt in May 2016 – the issue was observed for several devices from German vendor Medion (a Lenovo subsidiary) under Windows 10 Version 1511. It was caused by May 2016 update KB3156421. Uninstalling this update has fixed the issue. Later on, Windows 10 Anniversary Update has been released, and some users are facing the bug again. Now uninstalling a cumulative update wasn’t an option. Within the comments to my German blog post, a user reported, that Realtek card reader driver version 10.0.10586.31225 (dated 07/18/2016) has fixed the issue. Attention: Realtek offers a Windows 10 driver on their websites, dated February 21, 2017. But the driver is version 10.0.370.147 – it seems that this is an old version. The Realtek driver for USB 2.0 card reader version 10.0.10586.31225 may be downloaded within Acer’s support site. Dell provides driver version 10.0.10586.31225, A04, for OptiPlex, Precision, Latitude, XPS, Alienware, Inspiron, and Vostro at this download site. The release date is Dec. 12, 2016, a revision is from Dec. 13, 2016. The driver version 10.0.10586.31222 A03 from November 2016 is offered here. And on Mai 23, 2017 Dell has released version 10.0.14393.31228, A05 on this web site. Just check, which driver fits for your machine and fixes the issue. HP offers the driver SP76723 (download as .exe) and a description on a FTP server. The Reaktek Card Reader driver version 10.0.10586.31225 from 07/18/2016 may be obtained also from Microsoft Update Catalog. There is also a version 10.0.14393.31228 for Realtek card readers for Windows 10 dated Oct. 13, 2016. And for Realtek USB 3.0 card readers driver version 10.0.14393.31233 from January 19, 2017 has been released in Microsoft Update Catalog. Perhaps it helps. This entry was posted in issue, Windows and tagged card reader, Driver, issue, realtek, Windows 10. Bookmark the permalink.